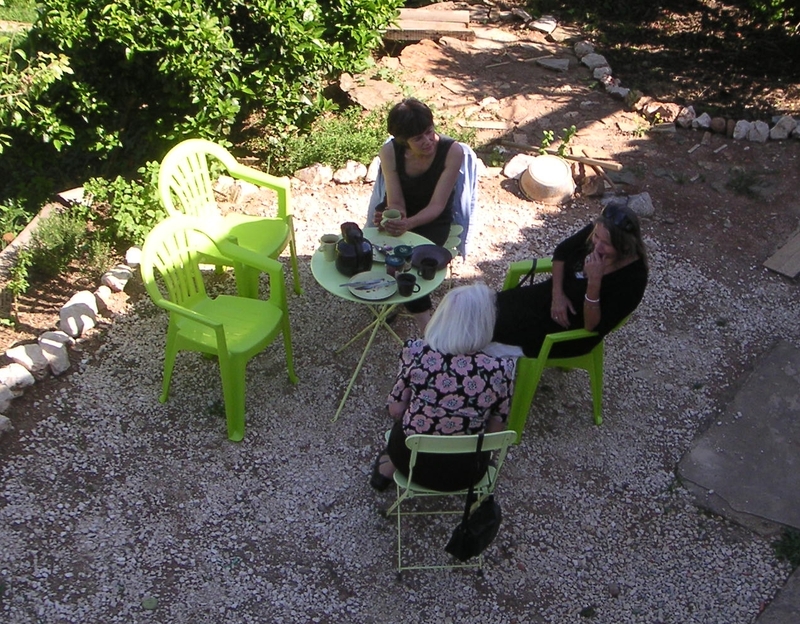 Starting Tuesday May 31st there will be a weekly Djembe class at Osho Garden from 6 till 8 pm. Ananda will teach rhythms from Guinea, Ghana and Togo and we will also learn to express our own rhythms. 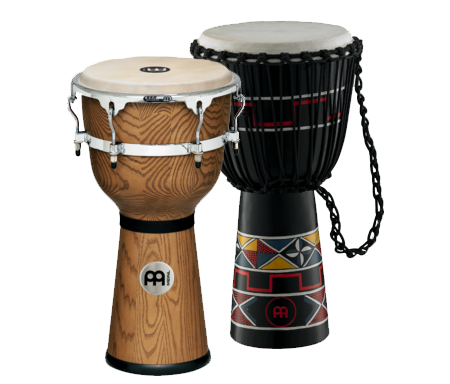 The name of the Djembe comes from an expression in the Bamara language of Mali, meaning Everyone gather together in peace. You are invited to our peaceful gatherings. Just drop by and let the experience happen to you. Before introducing you to our new arrivals I want to invite you to Singing for the Divine, to be conducted by Ananda on Saturday May 21st at 8 pm. 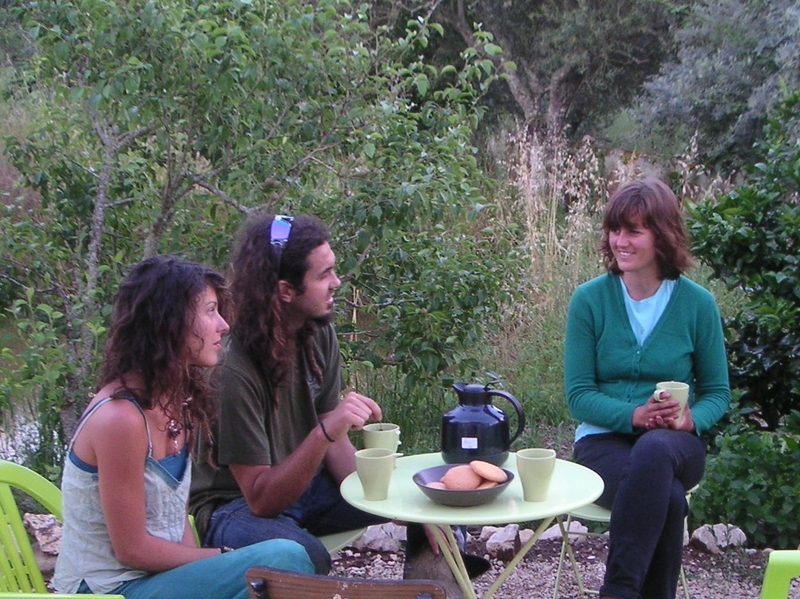 Having tea in this picture taken today: At right Ida who is studying Permaculture and has her own garden in Sweden. Henrique has one in Aveiro, Portugal, in Mandala shape like ours. And Maria can teach us Iyengar Yoga. She also wants to learn about Permaculture. Busy times. It’s planting season and Xicca is asking for help in the garden. Also several construction jobs need to be finished and I need help too! Fortunately Luisa passes by regularly. Her help consists of shopping for goodies and at tea time today she brought us fresh croissants and pastéis de nata, my favorite Portuguese pastry, invented over two centuries ago by the Catholic nuns of Belém, Lisbon. Amen. 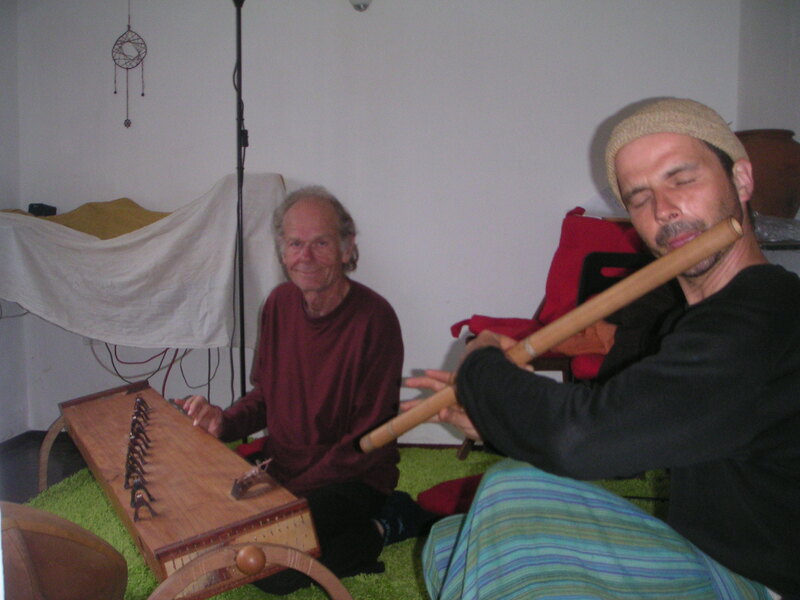 A Kotamo is a combination of three overtone instruments, the Japanese Koto, the Indian Tambura and the modern Monochord. Today, while I practiced playing the Tambura and the Monochord, Ananda improvised on the flute, the Shruti box and the Koto. I uploaded a fragment of our workshop, here. Then we watched Osho, who can tell the funniest jokes without flinching, and had pancakes with strawberries and cream.